Your gutter system is one of the most important parts of your home. Unfortunately, it’s one of the most common things that homeowners forget about until there’s a problem. Don’t let out of sight be out of mind – when your gutter isn’t functioning correctly, it could mean major damage! 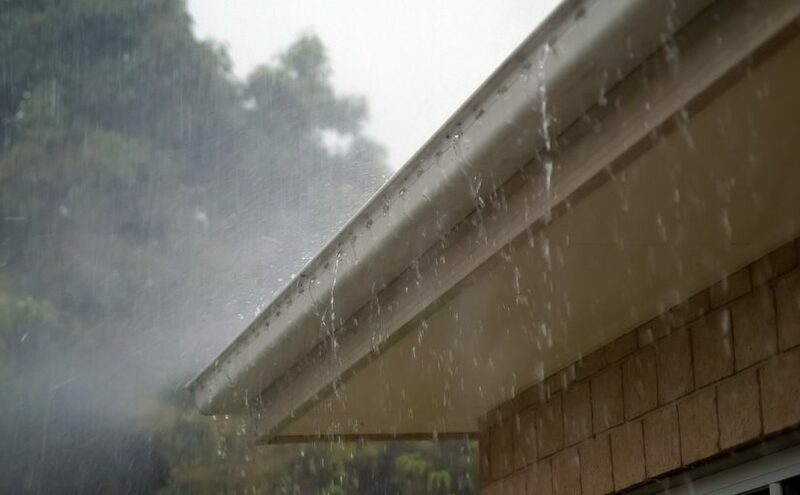 While waterproofing your basement is a good start, damaged gutters can affect your home’s siding and even the roof if not corrected in time. Performing your own rain gutter repair is often a lot easier than you expect, even for novice DIYers. Find out the most common gutter and downspout problems and how to fix them from EverDry Toledo! One of the most common problems with rain gutters is clogging. Over time, debris builds up in your gutters and prevents water from flowing properly. In severe cases, it can even dam the flow of water completely, which puts your roof at risk for damage. How to Repair It: While clogged rain gutters are common, they are fortunately easy to fix. Depending on the size of your house, all you may need is a ladder and a pair of gloves. Simply go around each section of the gutter, removing debris and inspecting it for possible damage. Most homeowners will only need to do this about once per year, and spring is one of the best times to do it – not to mention some other important outdoor maintenance. However, if your house is surrounded by one or more trees, you may want to consider cleaning you gutters a few times each year. The more trees that can drop leaves or branches into the gutters, the quicker the buildup can hit critical mass. It may also be worth investing in a gutter guard that helps prevent debris from entering your gutter in the first place. This doesn’t mean you never have to clean your gutters again, but it can help keep them flowing better between cleanings. Your gutter is made up of multiple sections that are sealed or connected with gutter joints. Over time, no matter how they are joined together, the connection will deteriorate. Even well maintained gutters can sometimes suffer physical damage that opens holes or gaps. This results in leaking that drops water right against your siding or foundation. How to Repair It: There are two ways to fix a leaky gutter. If the leak is coming from a tiny hole, such as one the size of a nail head, all you need is a little caulk. Silicone or gutter caulk can seal the leak without any additional help. Just make sure the gutter is free of any debris before you begin. If the leak is much larger, you may need to use metal flashing to patch your gutter. Many home improvement stores sell gutter patch kits. Even if you can’t find a kit, you can create a patch by using tin snips to cut out metal flashing and using sealant to glue it in place. A perfectly functional gutter system can be ruined by a downspout draining improperly. It’s important to make sure that the end of the downspout is taking the water an appropriate distance away. If it’s not, all the water caught and flushed away by the gutters will come right back. At EverDry Toledo, we believe that we have a responsibility to not only serve our customers with quality products and services, but also to be a part of our community. We know that the service we provide is about more than a dry basement; it’s about making sure your home, the air you breath, and your family are safe and healthy. That’s why it is important to us to provide quality service and support many local charities like the Make-A-Wish Foundation, Mom’s House, Beach House, and more. Water in your basement can be hazardous to your health. 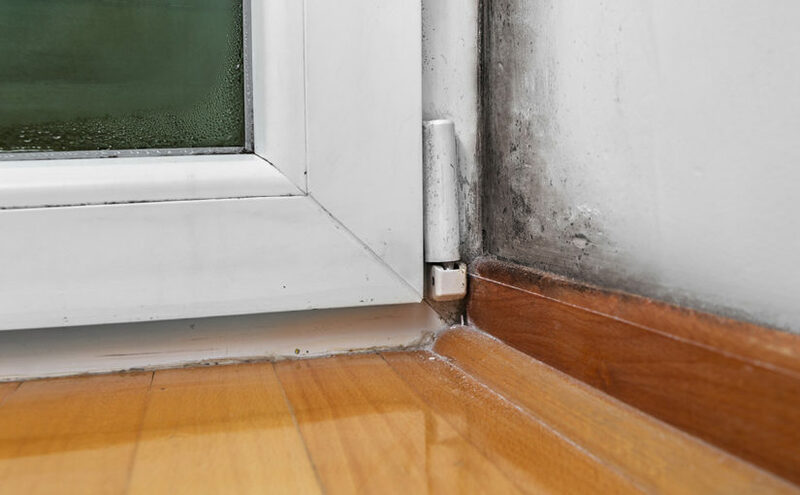 Moisture is the key ingredient to indoor air pollution, according to the EPA. 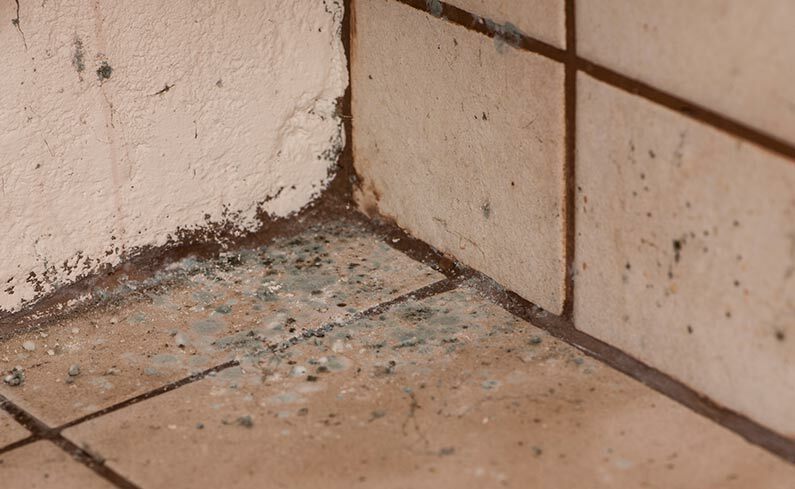 Unfortunately, a leaky basement provides an excellent environment for mold growth. If you have moisture or water in your basement, it may be from a crack in your foundation. Team EverDry is here to help keep your family safe from unsafe air quality! Contact us for a free 20-Point Inspection and quote and, in addition to helping you, we’ll also help the Make-A-Wish Foundation. The Make-A-Wish Foundation is the premier wish-granting foundation for children with life-threatening diseases, helping to make their dreams come true. At EverDry Toledo, we have been helping area children through the Make-A-Wish Foundation for 20 years and truly blessed with the new friends we’ve made. In 2017, we are excited once again to assist this outstanding organization! For each new customer quote, EverDry Toledo will donate $50 to the Make-A-Wish Foundation of Ohio. Help us help those families in our community that are hurting. Some surprises are great – like finding $20 in your coat pocket. Others – like finding water in your basement – not so much. 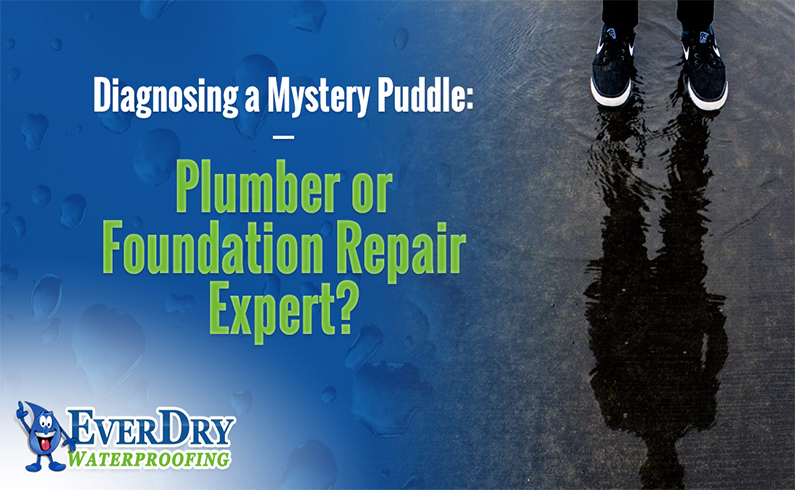 If you’ve discovered water in your basement and you’re not sure where it came from, who should you call for help – a plumber or a foundation repair expert? The answer to that mystery can probably be deduced from a few simple questions. Winter is back and so is that – dare we say it – polar vortex! We’ve already had our first taste of below-zero temperatures, which has many of us thinking about vacationing in a warmer climate. 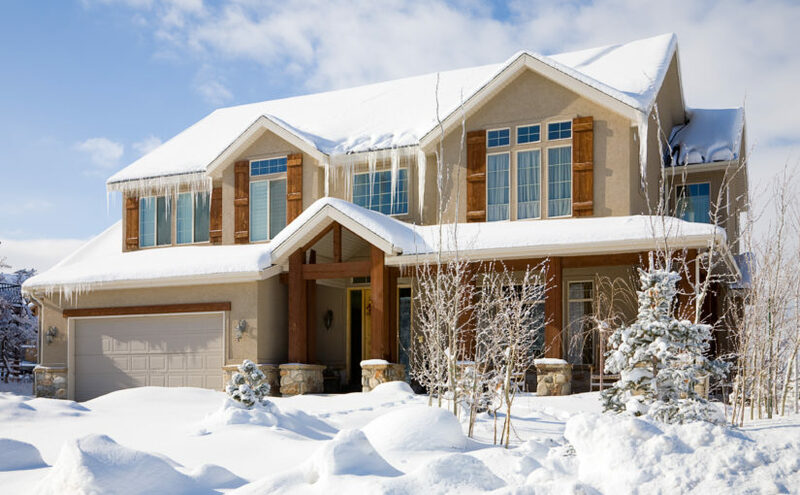 If you’re doing more than thinking about it – if you’re planning to take a trip away from home this season – you should take steps to protect your home by winterizing your plumbing. Frozen pipes can be more than a temporary inconvenience. Left unchecked, a frozen pipe could burst, leading to significant water damage and creating an environment where mold can thrive. But by following simple winterizing steps, you can keep your plumbing intact despite the freezing temperatures. Now that the weather is turning cold, many DIYers are turning their thoughts to the great indoors. Homeowners know that there are always plenty of projects on the to-do list, and one of the most popular home remodeling projects to tackle during the winter months is a basement makeover. Whether you want to add a spare playroom, a guest room, or a “man-cave,” the basement can be the perfect location for additional living space. Like any DIY renovation, proper planning before you start a can save a lot of headaches – and unexpected expenses – down the road. While it’s certainly more exciting to think about installing a big-screen TV or a stylish bar, keeping your basement warm and dry should be your first consideration. With that in mind, we’ve put together 10 basement remodeling tips to help keep your basement cozy, energy efficient, and waterproof, so you can enjoy your new space for years to come! 1. Don’t start until you’ve checked the building code and obtained all necessary permits. Your project could face serious consequences if it’s not up to code, and you could be putting your home and your family in danger. This is particularly important if you’re planning plumbing and electrical work, which may have to be inspected. Know and follow the building codes. If you have questions, concerns, or you’re not sure your skills are up to the task, consult a licensed builder. 2. Check for moisture problems. Moisture issues are a common basement concern, and if you don’t address them before starting your renovations, you could be setting yourself up for costly repairs down the road. Mold, insects, and high levels of humidity are all signs that you could have a serious basement moisture problem that’s beyond the fix-it skills of the typical DIYer. If you’re not sure what to look for, our experts can provide you with a free basement inspection and recommend the best waterproofing option for you. Even if you don’t have a serious moisture problem, adding a vapor barrier to both the walls and floors prior to framing and finishing off these surfaces makes good sense. Lay down the moisture barrier, wait a day or two, then check underneath to see if and how much moisture may be coming through before continuing. If there’s still residual moisture after adding the vapor barrier, create a slight offset from the outside wall by adding thin slats of wood or metal called furring strips. These strips can also be used to help level out a wall that may be “wavy” to create a flat surface for adding framing. When it’s framed and insulated, face it with mold-resistant drywall. 3. Don’t skimp on the insulation. Insulation will not only help control the temperature inside your basement, it will add another layer of moisture control. Plus, it will help dampen sounds coming in from the outside. Choose an insulation that includes a vapor barrier on both sides. Spray foam insulation can also be effective for basement walls, but check code requirements to ensure it allowed in your area. 4. Seal around rim joists. Uninsulated rim joists (the joists on the outside edge of your basement walls) can create big energy losses. They can also be an easy entrance for mice or other pests. Insulate them with rigid insulation cut to fit. 2” extruded polystyrene is a good choice, but make sure it’s up to code. If you have a table saw, use it to cut strips equal to the depth of your joists. Then use a fine-tooth handsaw or utility knife to cut the strips to length. Fill small gaps with caulk, and the larger ones with expanding spray foam. 5. Seal around pipes and wires. Seal small cracks around pipes and wires with high-temperature silicone caulk, and larger gaps with flame-resistant expanding foam. Close openings around chimney flues or other large openings by nailing sheet metal over them and sealing the edges with caulk. While they’re exposed, slip foam insulation sleeves over hot-water pipes to prevent heat loss and over cold-water ones to prevent condensation from dripping on the inside of the drywall or ceiling. 6. Add a drop ceiling. A drop, or suspended, ceiling hides your plumbing and electrical lines, yet provides easy access to them if needed. Remember that drop ceilings will reduce the amount of overhead space available, so keep that in mind when planning your renovation. To soundproof a drop ceiling, add fiberglass batts above the ceiling tiles, but make sure your tiles can bear the added weight. Although batt insulation is relatively lightweight, it can put enough stress on think drop ceiling tiles and break them. Don’t use fiberglass ceiling tiles – they can’t support the weight of insulation. If you’re thinking of using wood-and-gypsum ceiling tiles, they will need to be at least 5/8 inch (15 mm) thick to be used safely with batt insulation. 7. Make sure your flooring is waterproof. You may be tempted to add carpeting or wood flooring to your new space, but that can be a bad idea. Even a waterproofed basement can fall victim to a malfunctioning sump pump, and one flood can ruin an expensive floor (see #10). Epoxy floor coatings are good if you can live with a hard surface flooring. Epoxy coating is inexpensive, comes in a lot of colors, is totally waterproof, and easy to apply. Ceramic tile comes in an almost endless variety of colors and styles. In fact, you can even buy tile that looks amazingly like a wood floor! It’s unaffected by moisture and goes directly onto concrete that’s smooth and free of cracks. Vinyl tile and sheet flooring also goes directly over prepared concrete and will withstand even minor flooding. A vinyl floor can provide some cushioning underfoot, and it’s fairly inexpensive. Engineered wood flooring gives you the warmth and beauty of real wood with the stability and moisture resistance of laminate construction. Click-together tiles and planks are DIY-friendly and easy to install as a floating floor system. Check to make sure the type you choose is rated for below-grade basements. 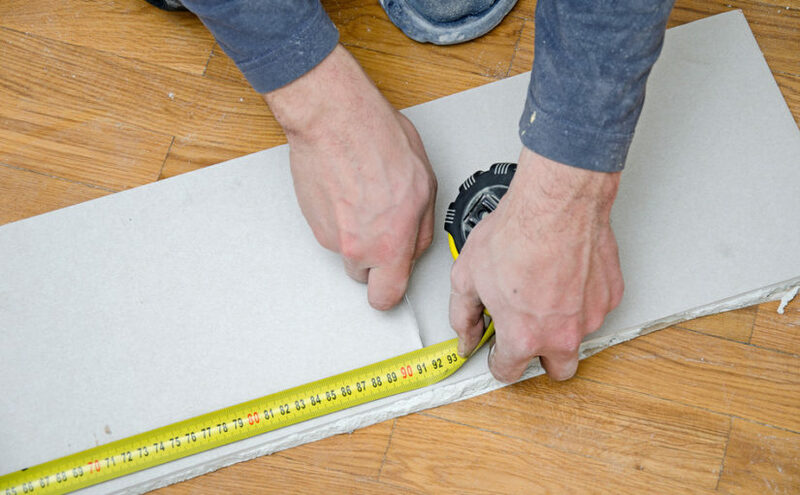 Rubber flooring comes in sheets and DIY-friendly tiles with interlocking edges. Rubber floors are nicely cushioned and come in a wide variety of colors, making them a good choice for basement playrooms. Remember, no matter what flooring you choose, it’s important that you take steps to keep your basement as dry as possible. That means grading out foundation soil so it slopes away from foundation walls at least four inches over 10 feet, adding extensions to your downspouts so water exits at least five feet away from your house, and keeping gutters in good repair. 8. Consider your heating options. Tying into an existing HVAC system will usually makes the most sense (and save the most dollars on remodeling costs). Remember, warm air rises, so it makes sense to install heating vents at floor level. For this reason, baseboard heating is also good option. If cold basement floors are a problem, you can warm them up with electric heating cables or mats. This type of heat doesn’t warm the room much, but it makes floors much more comfortable. 9. Don’t remodel the utility room. Keep the area around HVAC units and water heaters clear, open, and unfinished. These spaces have specific code requirements for spacing and framing. Plus, you’ll need access for inspection and/or repairs. 10. Have a backup plan for your sump pump. It’s best to have both a battery backup for your main pump, in case of a power outage, and a second pump, in case the first one gives out. You can also install an inexpensive, battery-operated alarms that detect water to notify you if there’s water on your basement floor. Everybody loves a warm cozy home, especially when the temperatures start to drop. Unfortunately, so do mice – and your home looks especially inviting to them this time of year. How can you stop mice from entering your home this fall and winter? We’ve got 10 tips to help you keep those furry little squatters from setting up residence in your house. 1. Fill all exterior holes and cracks. Did you know that mice can squeeze through a crack as small as a nickel? Before the weather turns cold, inspect your walls, window and door frames, and foundation for cracks. Repair large holes or cracks and fix any damaged or missing weather stripping – you’ll get an added weatherproofing bonus. (If you notice significant foundation cracks, contact a professional. This could indicate serious structural issues.) Small interior holes can be filled with steel wool, which they can’t chew through. Make sure cover both sides of the hole so they can’t simply pull the steel wool out. 2. Don’t forget the garage. Mice can easily slip under and around garage doors, so if you have an attached garage, check the wall and the door in between your house and garage for gaps and cracks. If you keep grass or birdseed in your garage, store it in a metal garbage can with a securely-fitting lid. 3. Plug around your pipes. Mice can use your water pipes like interstates, traveling through your house at un-catchable speeds. Inspect the places where pipes enter your house. If there’s any space between the pipe and the house siding, seal it up with steel wool and then cover the steel wool and concrete mortar. 4. Add a mouse-proof screen to your dryer vent. These have ¼” mesh and prevent mice from entering, yet allow the air and lint to pass through. You can find them at your local hardware store and online. Remember to check the screen from time to time and remove any built-up lint, if necessary. 5. Santa isn’t the only one who uses chimneys. To a mouse, a chimney seems like a great place to build a nest. Prevent mice from entering your chimney by installing a mesh-covered chimney cap. As an added precaution, close your damper – the metal hatch located above the firebox – anytime there isn’t a lit fire. 6. Clear away your outdoor clutter. Don’t allow weeds, brush, or other debris near your foundation. This is a natural shelter for curious mice, who’ll keep close to your house, looking for a way in. If you use a fireplace or wood-burning stove, keep your firewood stacked away from the house. 7. Put away the indoor buffet. Store all food (including pet food) in sealed, mouse-proof containers. Tightly seal all your interior trash cans, empty them frequently, and move your exterior trash cans away from the house, if possible. Wipe off the stove after cooking and wash your dirty dishes as soon as possible. Fix any leaky faucets – those are like non-stop water fountains for mice. 8. Enlist the power of peppermint. A few drops of peppermint oil on cotton balls and placed at potential entry sites can keep mice away and make your house smell great. You can also add peppermint oil to water and spray in mouse-prone areas. 9. Add an unpleasant sound system. 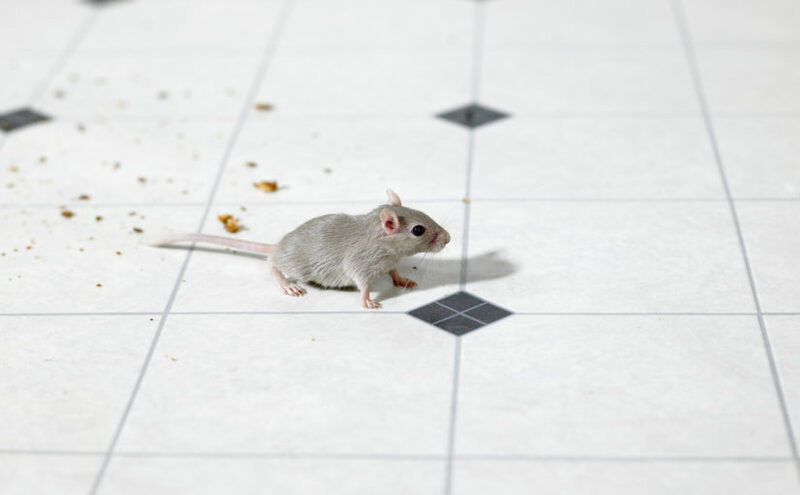 Inexpensive ultrasonic mouse repellers, which emit ultrasonic beeps or whines, can be used to ward off rodents. But these will only work in if the mice are in close proximity, so they’re best for small, enclosed areas. Note that they may annoy your pets, as well mice. 10. Buy a better mousetrap. There are all sorts of traps available on the market, including humane traps for catch-and-release jobs. Don’t forget about the furry ones available at your local animal shelter, who can reduce your rodent population and give you plenty of love, too. Let Us Help with Your Foundation Inspection! Could mice be sneaking through the cracks in your foundation? Team EverDry is here to help! Contact us online or give us a call at (419) 469-5833 to schedule a free 20-point basement inspection!